The Primerica Foundation was honored to take part in a special event Thursday celebrating the completion of the John F. Kennedy Park renovation project in Atlanta’s Historic Westside! Primerica – along with the Arthur M. Blank Family Foundation, the NFL Foundation, and the Chick-fil-A Foundation – provided funding to help renovate and revitalize a wonderful community space just a short distance away from the Mercedes-Benz Stadium where the big game will be played on Sunday. John F. Kennedy Park is adjacent to the Hollis Innovation Academy, and it is central to the Westside neighborhoods. Students from the Academy and the community will be able to enjoy the athletic field and have a safe place for exercise and outdoor activities. During the event, speakers included Atlanta Mayor Keisha Lance Bottoms, who reminisced about taking ballet lessons as a child in the neighborhood; Arthur Blank, owner of the Atlanta Falcons, who noted that the park was one of many efforts being made by Atlanta leaders to enhance the Westside; and NFL Commissioner Roger Goodell, who spoke about making meaningful improvements in the Atlanta community that will last for years to come. 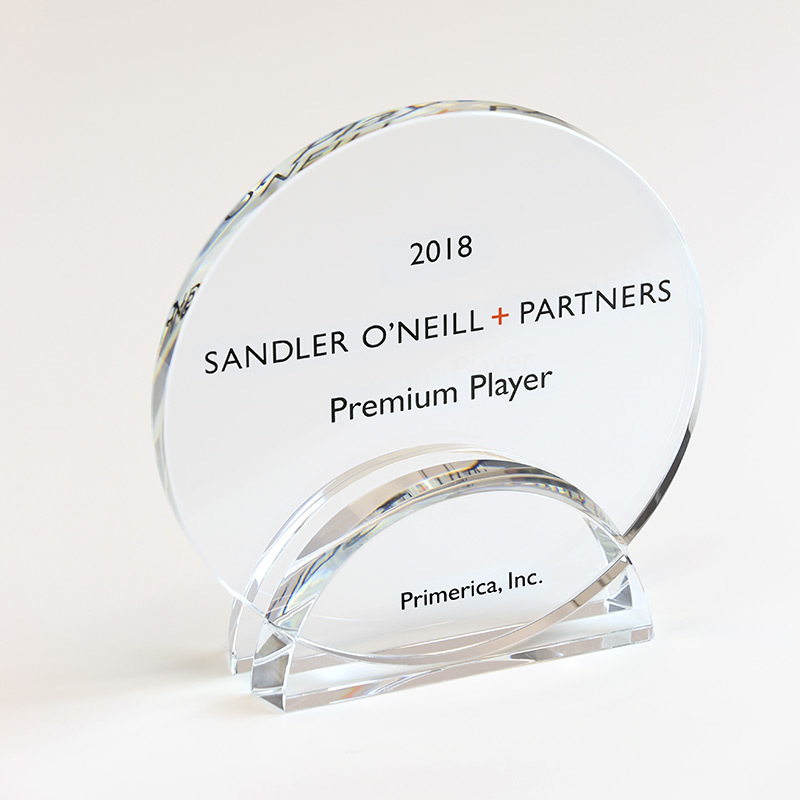 Recently, Primerica was named a “Premium Player” by Sandler O’Neill & Partners, a NYC-based investment banking firm focused on the financial services sector. Each year, Sandler O’Neill ranks publicly traded insurers using a weighted average of financial measures most important to investors: earnings per share (EPS) growth, return on equity, and book value growth. 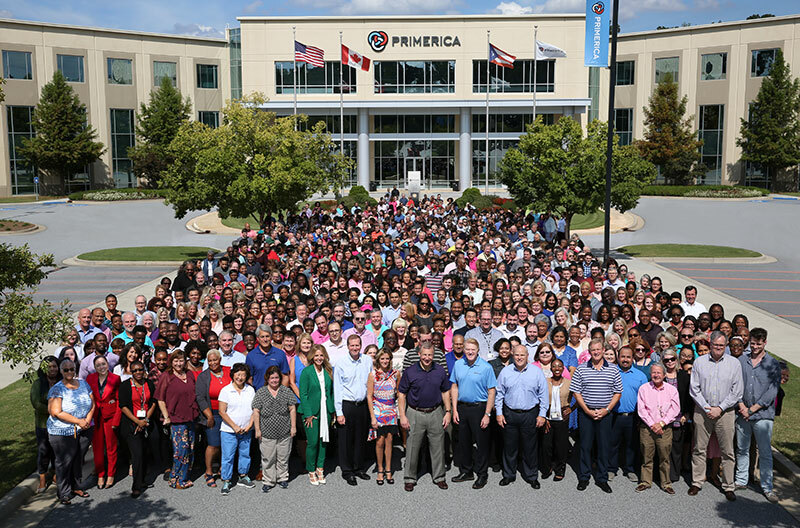 Primerica achieved top quartile performance within the insurance industry for 2018! Employee Choice Grant Awards – Through the Employee Choice Grant Awards, employees selected five area nonprofits through a company-wide vote to receive a $10,000 grant from The Primerica Foundation. The 2018 recipients are: Angels Among Us Pet Rescue, Circle of Love Adult Day Care Center, Connections Homes, Love Beyond Walls and Top Dogg K9 Foundation. 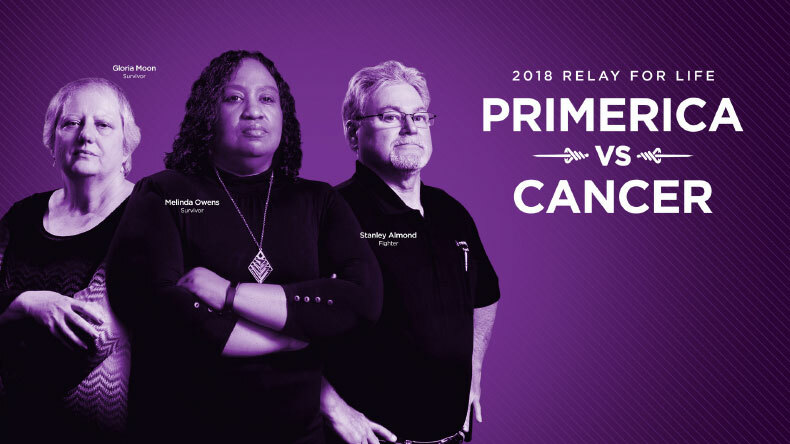 Relay for Life – Primerica raised over $118,500 this year for the American Cancer Society during the Relay for Life campaign. The Home Office was declared the No. 1 Relay team at the Top Relay event in the world. Primerica has been the presenting sponsor at the event since 2010. Employee Giving Campaign – During October, employees had two opportunities to give to the community through the United Way and The Primerica Foundation. Our employees generously pledged over $71,000 for 2019. Great Days of Service – Nineteen volunteers worked together at Summerour Middle School to beautify their community garden by installing ramps to their work shed, building and installing benches for two outdoor classrooms, staining their pergola and general upkeep of the garden. In addition, nine other volunteers wrote notes of positivity for another popular program at Gwinnett Technical College. 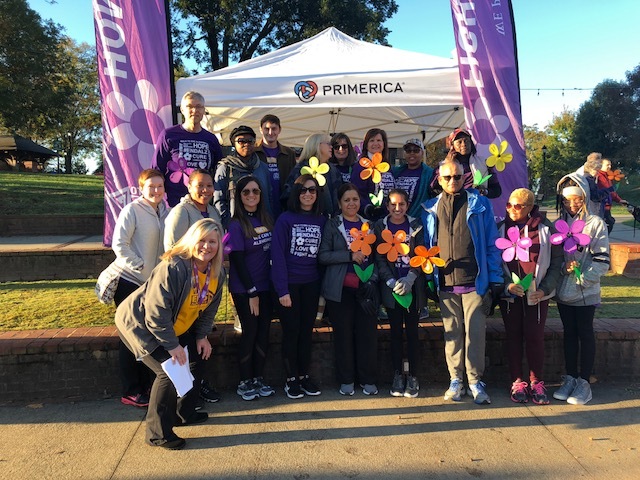 Walk to End Alzheimer’s – Primerica was the largest team with 80 participating employees and family members registered at Gwinnett County’s Walk to End Alzheimer’s, raising $22,000. Blood Drives – Employees donated 180 pints of blood to the American Red Cross, which were collected over four blood drives. Food Drives – Employees donated nonperishable food items during two drives in the calendar year. The spring drive yielded 2,300 pounds of food. Meals on Wheels – Twenty-five Primerica employees spent their lunch hour delivering meals to homes of 30 seniors in the community. Adopt-a-Road – Employees completed four road cleanups this year resulting in the collection of nearly 500 pounds of trash and 25 illegal signs. Salvation Army’s Angel Tree – Employees will provide gifts of clothing and toys for 100 children and 25 senior citizens. Salvation Army’s Can-a-Thon – Employee volunteers will work two-hour shifts to collect and sort canned items that come in from all over the community in order to help feed the hungry. 2018 Total Charitable Giving – Primerica corporate charitable giving to nonprofits included $256,667 in donations, $489,430 in event sponsorships and $60,000 in in-kind donations. In addition, The Primerica Foundation funded 84 grants amounting to $1.7 million. 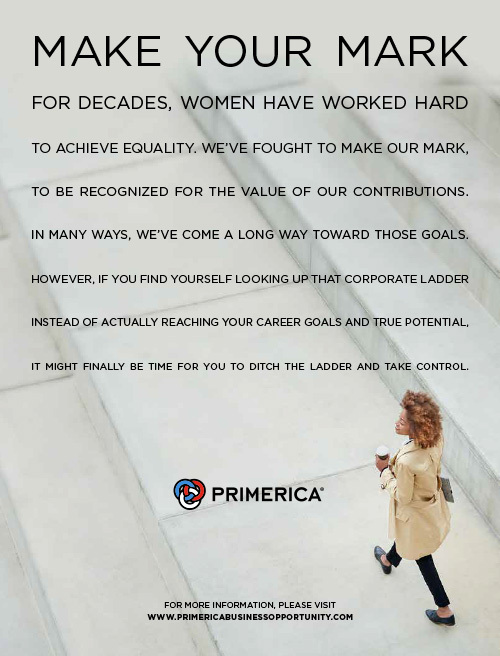 Recognizing that Alzheimer’s/dementia affects more than 5.7 million people in the United States,* Primerica is dedicated to helping find a cure. 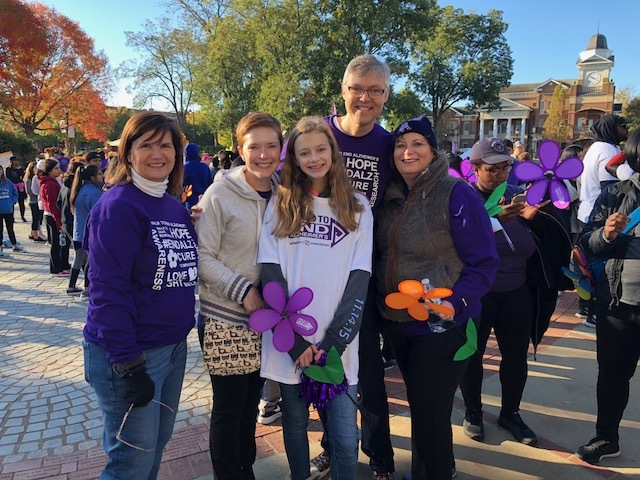 More than 80 Home Office teammates participated in a two-mile walk and raised over $22,000 in Gwinnett County’s Walk to End Alzheimer’s on Saturday, Nov. 3. A record turnout of Primerica employees participated in the walk this year – proof that the number of those affected by the disease is growing.